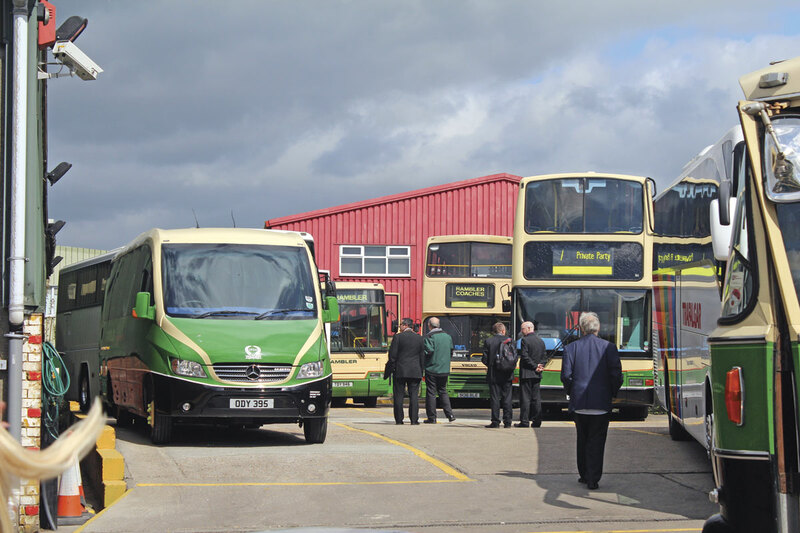 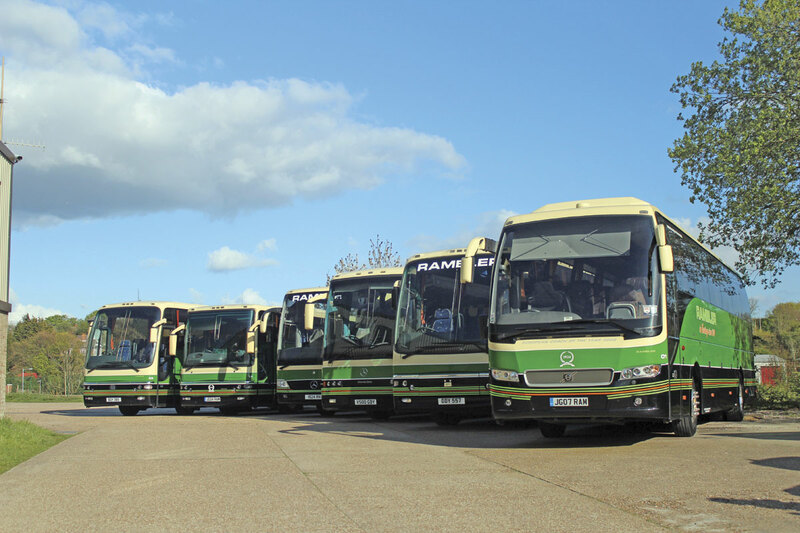 Colin Rowland and his family and team welcomed members of the public, operators and enthusiasts alike to the event on a bright but chilly Good Friday. 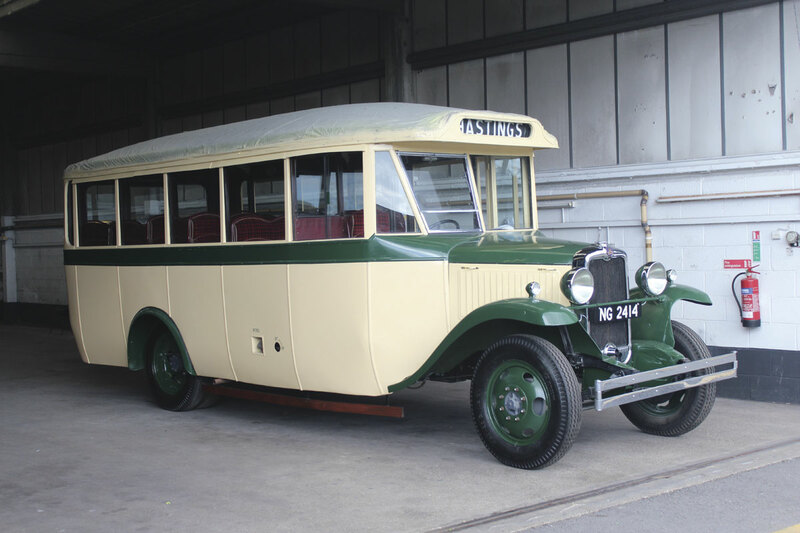 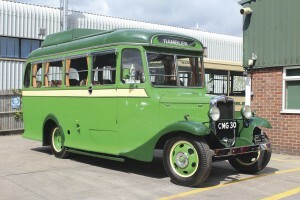 In addition to the opportunity to have a look round Rambler’s premises and inspect the varied fleet, there were a number of other attractions including Colin’s collection of heritage Bedford vehicles, stands selling model buses and transport photographs, refreshments and a picnic bus, a celebratory cake and various competitions. 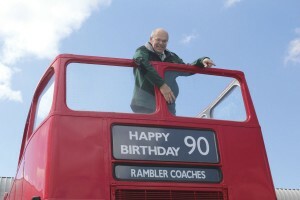 Heritage vehicles, primarily an open top Routemaster provided by Julian Brown of Autocar and Wealden PSV, gave rides round the town and there were other heritage vehicles present including two Maidstone & District AEC Reliance buses with Beadle and Park Royal bodies of 1957 and 1959 vintage respectively as well as a 1950 Bedford OB Duple Vista. 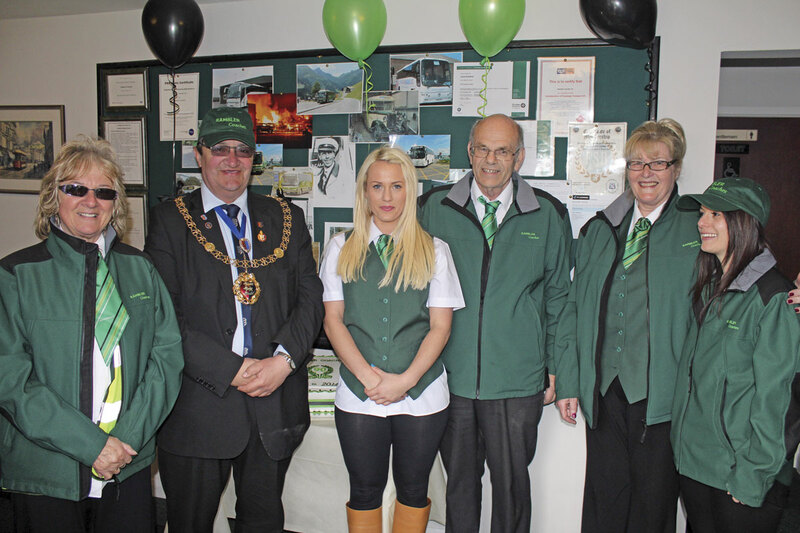 The Mayor of Hastings, Councillor Alan Roberts spent a couple of hours at the event looking at every aspect of the operation and posing for countless pictures. He was a good sport, not only climbing in and out of some of the one third scale coaches but sporting a Rambler cap for many of the pictures. 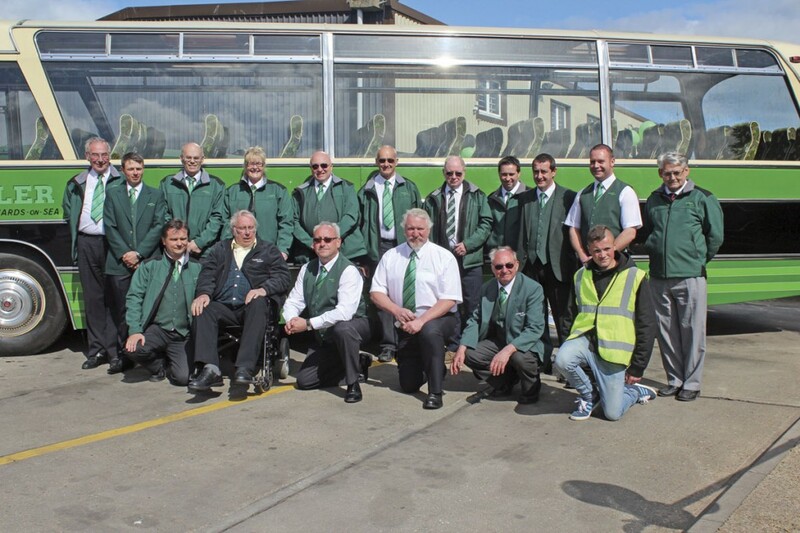 All the proceeds from the day, which came to over £400 are to be donated to the Emmaus Hastings and Rother Charity, which helps homeless people support themselves and is located next door to Rambler’s premises. 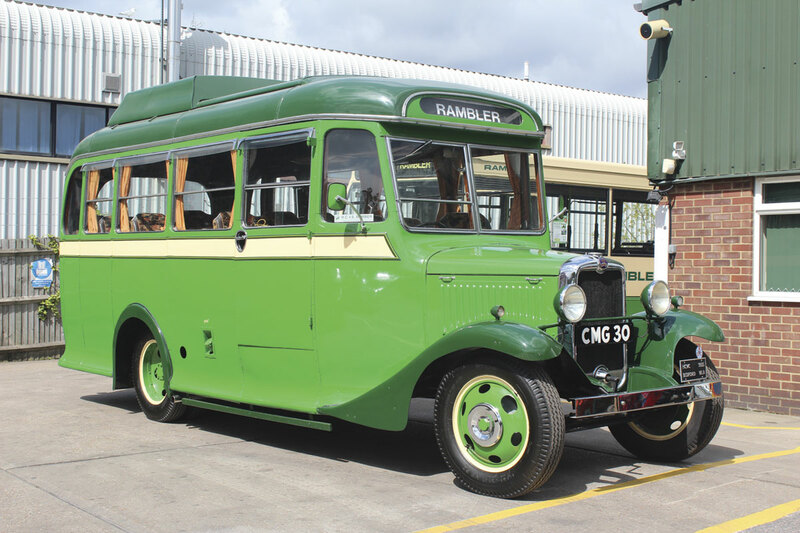 The culmination of the day was a cavalcade through the streets of the seaside town involving around a dozen members of the Rambler fleet as well as the visiting heritage vehicles. This called in at the modern Hastings Bus Station where the green and black colours briefly took over from those of Stagecoach before the cavalcade returned to Rambler’s headquarters on Whitworth Road in St Leonards. Colin Rowland was pleased with the way that everything had gone, estimating that around 250 people had attended.